Praised as the most important Catalan philosopher since Raymond Lull in the thirteenth century, Josep Ferrater Mora, known in the Spanish-speaking world as José Ferrater Mora, is celebrated as the most profound and original Spanish thinker in the second half of the twentieth century. His prodigious scholarship and indeed, his original philosophy is widely acclaimed, but the Centre honours his name because of his outstanding contribution to humanitarian thought. As an exile from Spain during the civil war, it is not surprising that his book on ethics (Etica aplicada: Del aborto a la violencia, 1981) and his essays published in both journals and newspapers display his interest in freedom and opposition to violence. His inclusion of animals within the notion of justice is consistent with what he called the ‘continuum’, one of his basic ideas concerning the nature of reality. Denying the existence of absolutes, and defending a ‘continuum’ in which various levels of emergence can be found, means that the differences between non-human and human animals are differences of degree, not of kind. His respect for animals is shown in many scattered remarks throughout the body of his work, in essays as well as in his chapter on animal rights in his book on ethics. Ferrater’s collection of essays entitled Mariposas y supercuerdas: Diccionario para nuestro tiempo, 1944 (Butterflies and Superstrings: A Dictionary for Our Time) contains an article condemning the Spanish fiestas that occur in many small towns throughout Spain in which various animals are tortured and killed. That book also includes two articles opposing bull-fights. In his La llamada “fiesta nacional” (The So-called “National Fiesta”), Ferrater rejects the three main claims used to defend bull fights: that they are spectacles, that they reveal a special relation between the matador and the bull, and that they are traditional. Writing at a time when there was little, or no, public opposition to bullfights, Ferrater’s article provoked widespread consternation in Spain. Ferrater Mora wrote more than 35 books, of which the monumental 4 volume Diccionario de filosofía, 1941 (Dictionary of Philosophy) is the most well-known. 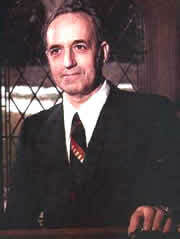 His own philosophical ideas, first developed in El ser y la muerte (1962), published in English as Being and Death: An Outline of Integrationist Philosophy, were more fully elaborated in El ser y el Sentido (Being and Meaning, 1967, later rewritten as Fundamentos de filosofia, Foundations of Philosophy, 1985) and De la materia a la razón (From Matter to Reason, 1979). His book Les formes de la vida catalana (The Forms of Catalan Life, 1944) and his novel El juego de la verdad (The Game of Truth, 1988) both won prizes. He also wrote four other novels, three books of short stories, and a book containing the scripts of the movies he filmed, as well as literally hundreds of scholarly journal articles, essays, and newspaper articles. Numerous awards, honours, and decorations have been bestowed on Ferrater Mora, including eight honorary doctorates from both Spain and South America, a posthumous ward, The Cross of Isabel la Católica, the Great Cross of Alfonso el Sabio, the Cross of Sant Jordi, the Prince de Astorias Prize, and the Christian R. and Mary F. Lindback Foundation Award for Distinguished Teaching. The University of Girona established a Chair in his honour. He held the position of Visiting Professor at the Universities of Madrid, Barcelona, Palma Majorca, Temple, Johns Hopkins, and Princeton. He was the first holder of the Juan Carlos Chair at New York University. For more information, see his web page www.ferratermora.org and also see pages from the Ferrater Mora Chair of Contemporary Thought http://www.udg.es/cfm/.